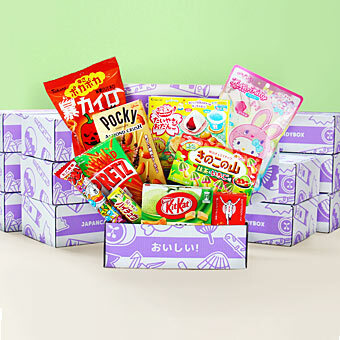 Japan Candy Box is now 4 years old and it’s time to celebrate! 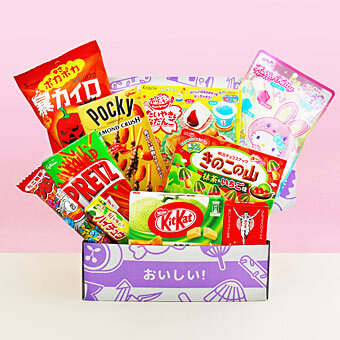 Take a peek which Japanese candy & snacks were included in the March candy box! 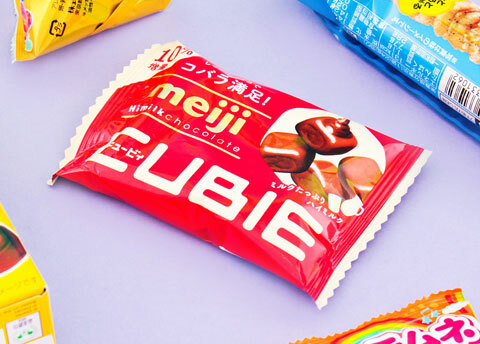 These yummy cube-shaped chocolates have a special coating which makes them less prone to melting in your hand. They’re also packed in a handy foldable bag. 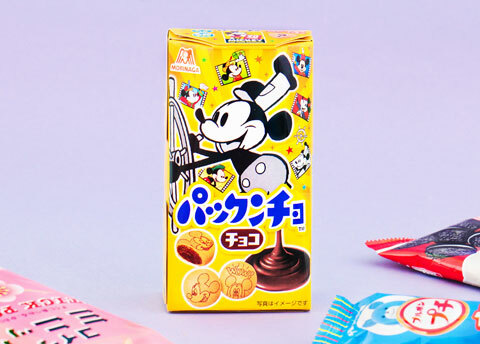 These lovely biscuits are filled with soft and delicious milk chocolate and decorated with pictures of popular Disney characters. 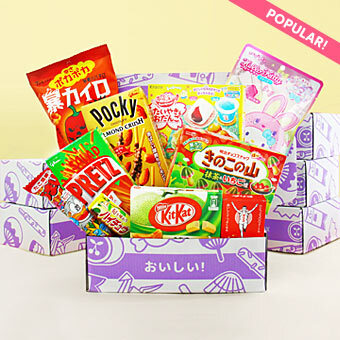 Can you find your favorite? 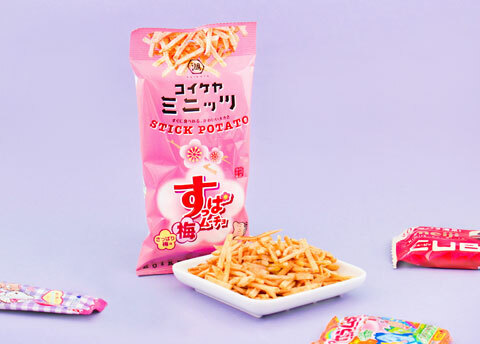 These crispy Suppa-Mucho potato sticks are packed in a handy slim bag and seasoned with a refreshing and sour flavor of sour plum. These crispy easy to eat fried rice crackers from Bourbon are seasoned with rock salt and spicy black pepper. 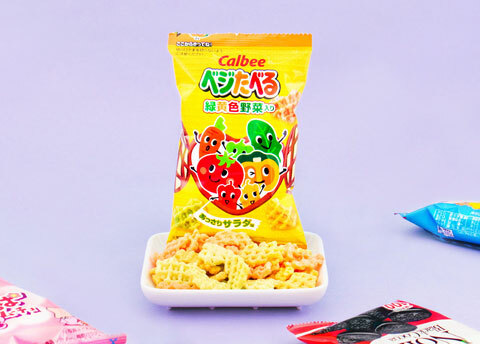 This delicious gummy is more than 120 cm long which means you can slurp it down like spaghetti. Which end will you start from? Cola or soda? 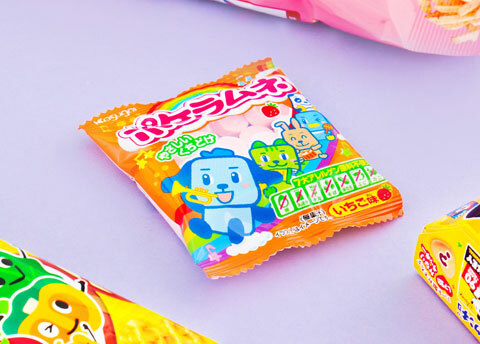 Ramune candies are a type of hard candy that turns into powder when you bite it. 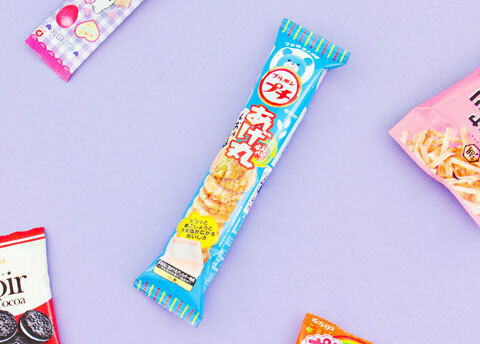 These are strawberry flavored and especially made to be allergen free. 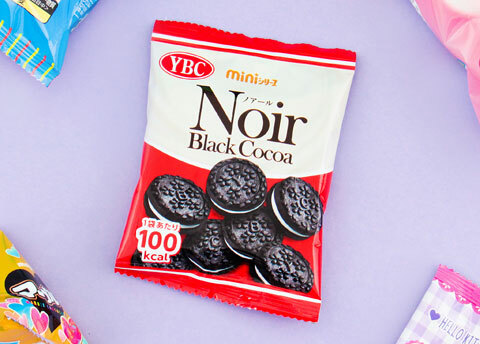 YBC comes to you with another great cookie treat, an Oreo-like cookie sandwich made from high quality black cocoa ingredients. 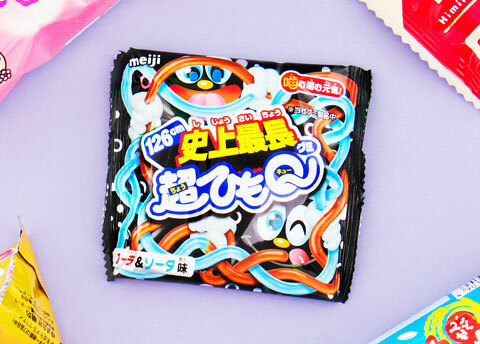 Meiji is one of the leading candy manufacturers in Japan. This is a fun sized sampler bag of one of their traditional chocolate treats. 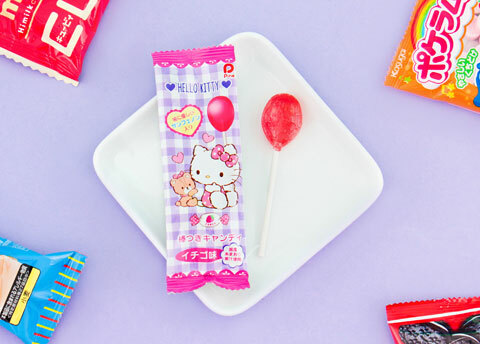 Hello Kitty is Sanrio's most famous character and popular all over the world. As she always says, "you can never have too many friends"! 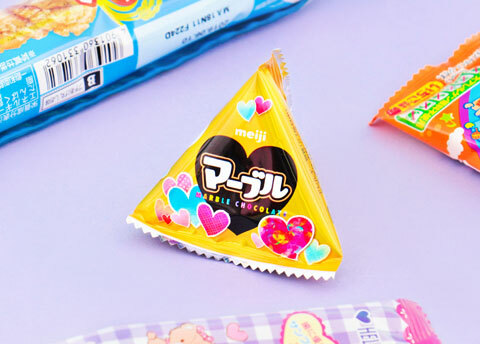 These heart-shaped mini chips are flavored with different healthy vegetables like carrots, bell peppers and tomatoes. 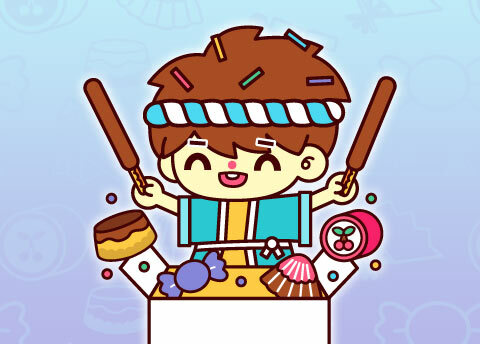 Healthy & fun!